As a blogger or content marketer everyone dreams about making money by sharing knowledge or some special tips and tricks for something that is in trend. But what will happen if your adsense account isn’t approved yet or your adsense account is banned for that instance. Instead of worrying about how things will go on now, try doing some extra things that will actually help you earn some money. Yes, it is true. 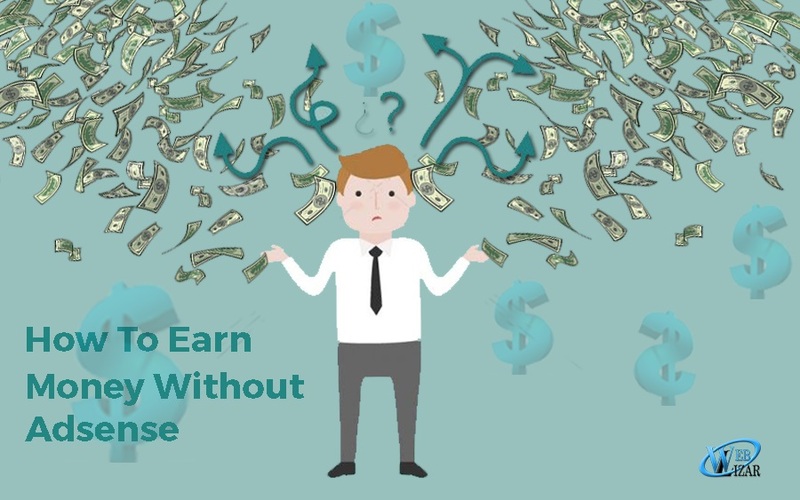 You can make money without adsense and we are going to talk about the top ways to earn money without google adsense. Adbrite and Chitika have emerged as the best alternatives to Adsense when it comes to displaying context sensitive ads. Their payouts are highly competitive. Adbrite shares the revenue in 75-25% in favor of blog owner. Chitika is the leading impulse merchandising company which gets the niche ads displayed through customized and novel ad boxes that deviate radically from accepted industry standards and complement the existing ad serving scenario. Chitika is the golden geese for ad publishers and the platform can be capitalized to earn daily ad revenue. The action based pay per call ads pay to publishers somewhere between 2 to 20 dollars per action. Adbrite and Chitika have offered unsuspecting users a new avenue to make money without adsense. The pay per click ads can be easily integrated in the site and bring about a jump start in your earning and a new opportunity to earn money without google adsense. Hope you have enjoyed the blog post, if you have any other quick suggestions or some more pro tips to share, leave your comments in the comment box below. And don’t forget to read How To Get Quick Approval For Google Adsense.